Boltless Shelving – Just as the name suggests, it is shelving assembled without nut and bolt fasteners. This is quick to assemble and can be easily adjusted. 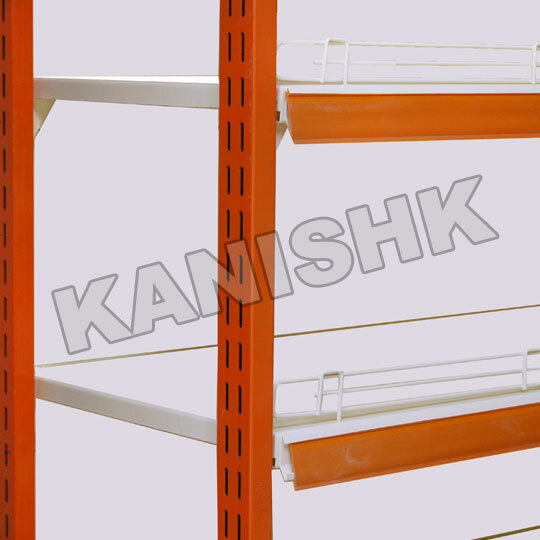 these racks are rigid, sleek and durable, can be adjusted and assembled any number of times as per to the changing requirements and demands in this ever-changing worlds of storage and display. These types of modular boltless shelving are generally used for display purpose in showrooms, markets, malls etc.